As I write this now, I have a bump. A big bump. One that wriggles about a bit when I’m lying in bed and that jumps into life with a glass of iced water. I’m also, as it happens, in the middle of replying to a string of interview requests about travel. As well as questions about my favourite place in the world or the one travel item I cannot travel without, I’m also often asked “what’s the one travel tip” I’d give to someone thinking about heading off to travel for the very first time. I’ll admit, it’s a question that I’m not too sure I’m that good at answering. In part, because heading off to travel has never been something that has made me feel stuck. It’s just something I did, that I made happen, one way or another over enough years for it to build up into a career. 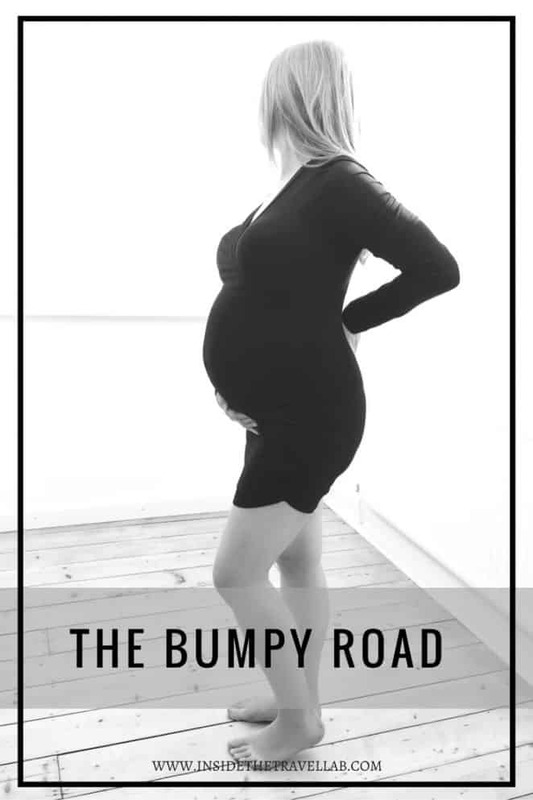 But sitting here with this bump, with a different road ahead, I think I’m finally noticing the similarities between heading off to travel the world and heading into parenthood. Both, ultimately, hold the promise of something wonderful around the corner. Something so magnificent, so remote and so horizon-expandingly brilliant that life may never again be the same. But they are both, let’s face it, fraught with danger. Real danger, like post-partum haemorrhage or a military coup. Practical danger, like sleep deprivation and, well, sleep deprivation, and, for want of a better term, emotional danger. Fear. Embarrassment. Difficulty picturing what the reality will be, concern that the visa won’t be valid and you’ll be deported via a rubber-gloved inspector, that someone may steal all your money in a place where you know no-one– or simply that you’re going to look foolish, whether that be in front of one waiter or in front of the world. I’m not immune to these thoughts when it comes to travel. In fact, I’ve written about them before. But I haven’t let them let me get stuck. 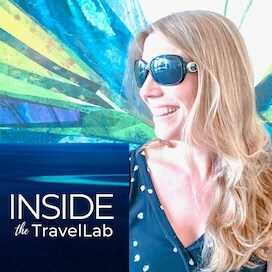 When I answer those travel interviews, I advise people to go ahead and book the ticket. Nail down the expensive item that commits you, and anyone else, to get things done and done on time. After that, medic and geek that I am, it’s time to avoid unnecessary risk. In terms of travel, that means checking what visa you need, what immunisations are recommended, having a back up plan for money (one credit card in hand luggage, one other in the hold) and, well, that’s often about it. I’ll often add booking the first night’s accommodation to make sure you’re not too vulnerable that first night on your own. Everything else is a nicety. Some people, it seems, get stuck at this stage. They freeze by thinking that everything has to be ready and that everything has to be right. What could have been a helpful optional extra becomes a hindrance, an obstacle, a never-ending list of things to do that threatens to block the whole travel plan entirely. Then, there are the others. Those who pitch up without the right pages in the passport, who wander into war zones, who drive into the dessert without repair kits and just kind of bank on everyone else sorting out their problems should it all go horribly wrong. These are often they who trot out the bizarre notion that you’re more likely to die in a vending machine accident in the US than by venturing into an area of conflict, forgetting that millions of people encounter vending machines every single day while fewer than a handful go on holiday with ISIS. It’s as much a conversation with myself as much as anything else. Because on this particular bumpy road, the one to parenthood, I’m feeling a little bit stuck. Things haven’t been easy. In fact, they’ve been the travel equivalent of bomb threats, flight cancellations and finding out you now have to share a room with the perviest man you’ve ever met in the no-visa, no-paperwork No Man’s Land of a sterile stairwell where a soldier has made you wait in a country renowned for drug trafficking. And I’m now at the stage where I have a sandpaper-dry mouth, hair like crazy Meg and a pathological desire to be reunited with my suitcase. In other words, it’s been difficult, but not catastrophic. And now the birth, with all the fear and excitement that the promise of that day holds, looms on the horizon like an interview at the Chinese visa embassy with its complicated rules and impossibly long queues. There are those who enjoy sharing their stories of terror, the travel equivalent of highlighting the isolated cases of solo travellers being murdered the night before you go away. There are my own medical memories of, let’s call them, the (ahem) highs and lows of the experiences I saw in and around obstetrics. And then there are those who say that people have babies all the time all over the world so there’s nothing to worry about. I’ve taken to calling this the Myth of the American Vending Machine (silently, of course) since it bizarrely overlooks some significant facts of life. Even now, a woman in Somalia has a 1 in 20 lifetime chance of death in childbirth while a woman in Austria has it as 1 in 20 000. It’s hardly reasonable to ignore all the advice of antenatal and obstetric care. And yet. I am not in Somalia. Nor Austria. Nor anywhere far flung, really, since the medics grounded me pretty thoroughly after complications they discovered at around the 20 week mark. The truth is that things could still go horribly wrong. They could, of course, go horribly right. And the stats are in favour of that, as they are indeed for travel. All that’s left for me to do is book the ticket, sort the visas, have the vaccinations and look forward to the trip. Everything else is a bonus. And if things start to go wrong, I’ll just have to handle the situation. And when I feel nervous, I’ll just need to remember that it’s normal to have that feeling you get the night before tomorrow. Happy travels everyone, whether you’re on the road or off.